Some days…don’t ya just need a down to earth, basic, no bells and whistles recipe where all the ingredients are more than likely in your pantry and doesn’t involve Googling one of the ingredients, because seriously you live in a podunk town in middle Ohio and extra virgin coconut oil or cookie butter just hasn’t made it to the shelves of your local grocer and probably won’t for the next 10 years. yeah, i totally get you and i don’t live in the middle of nowhere…however, some days i wish i did. 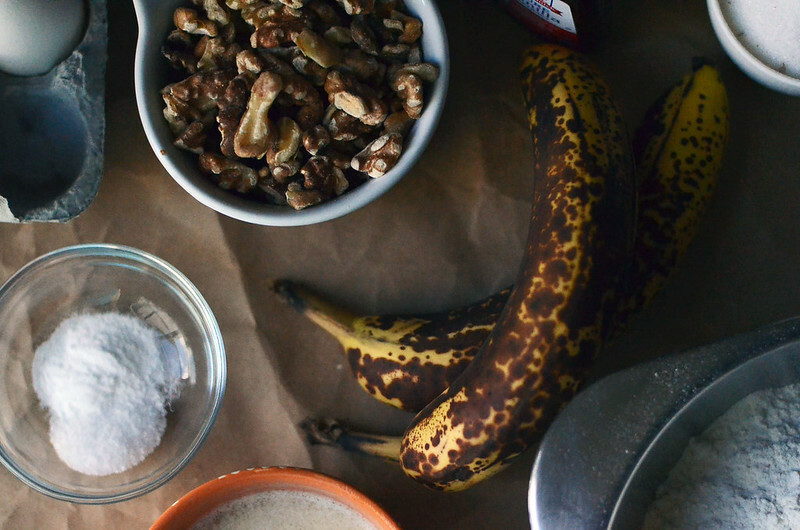 today is your lucky day…some basic banana walnut bread is on the docket. a while back i lamented on the fact that i don’t like bananas all up in my junk and that still remains the case, however everyone else on this lovely planet seems to think otherwise. 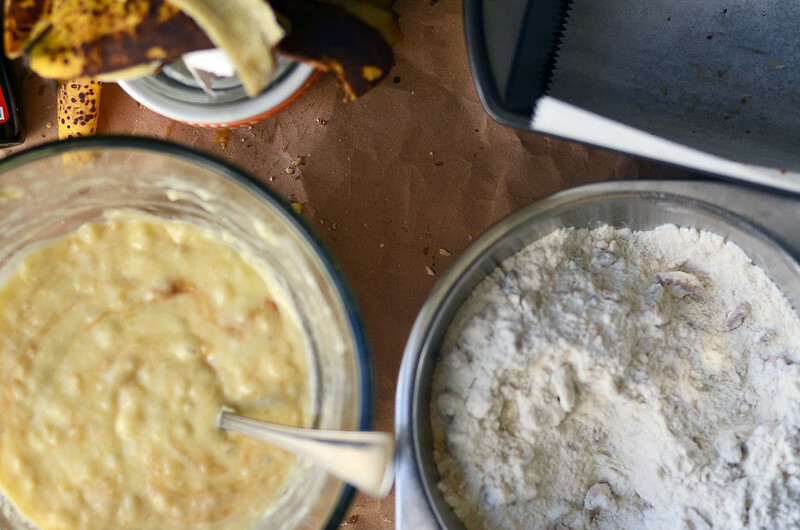 recently i made a banana bread that contained coconut flakes and chocolate chips and butterscotch chips and pecans (or was it walnuts?) … all in an attempt to hide the flavor of the bananas….which kind of worked, however when my bro ate a slice, he doubted that there were actual bananas inside..to say the least, he wasn’t a fan. 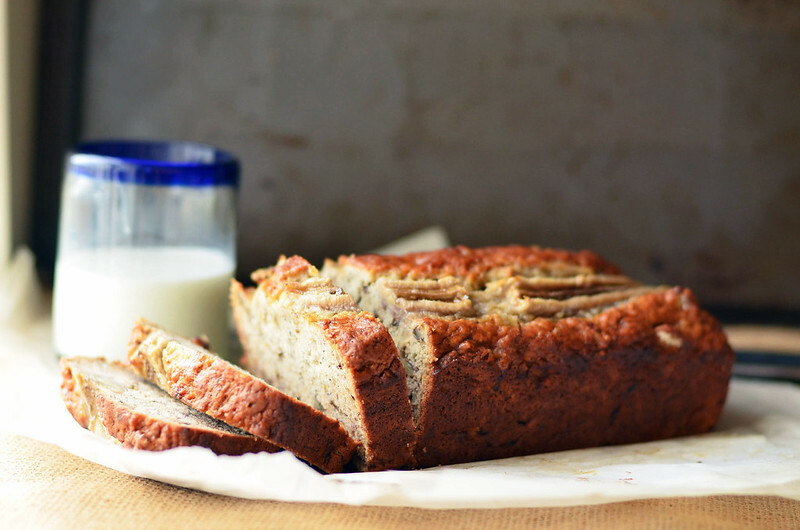 it got me thinking…i have only made plain old banana bread maybe twice in my life…which makes sense. 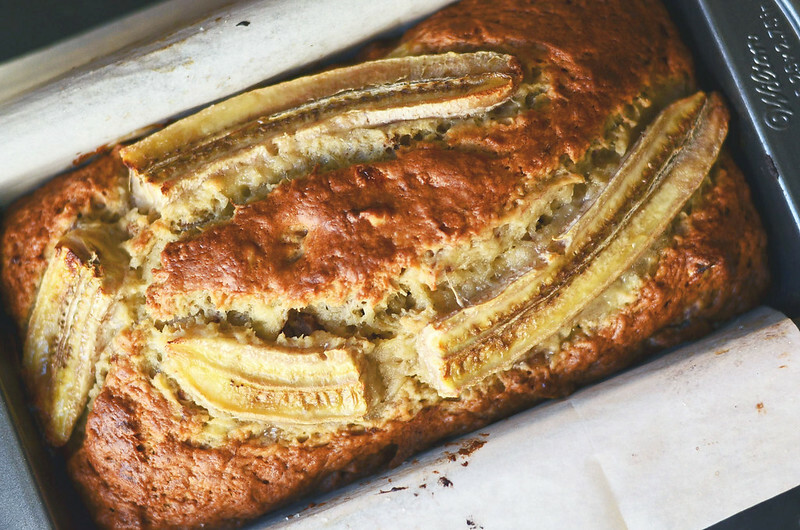 i am always trying to mask the banana-ness of banana bread with add-ins. but not everyone wants to drown out the banana flavor. some folks are like my brother and enjoy banana flavored Runts and Laffy Taffy and can eat banana chips by the bucket full. insert the nauseous emoji face here. so this is for the banana lovers out there. i am not one of you…i however did eat a slice, well slathered with at least half a jar of peanut butter and i can officially say…it was OK, however at the speed it left my parent’s counter last Friday night…I can say it was well beyond just OK.
on the banana boat we go…. 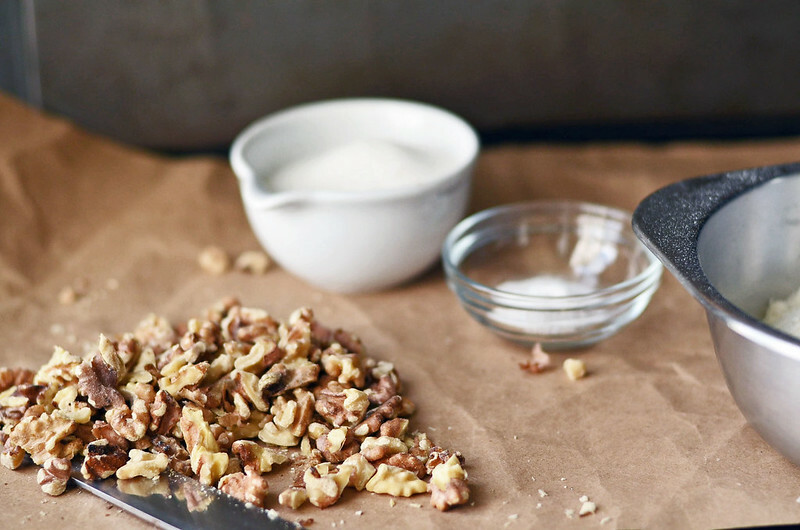 roasted walnuts are necessary too… for snacking pleasure and for the bread. more for snacking pleasure. 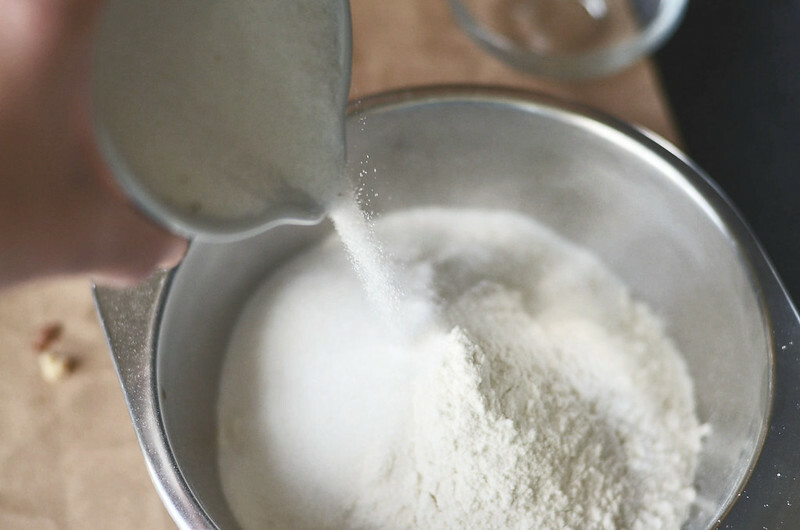 into the flour goes baking soda, salt, and sugar. and the roasted walnuts that survived your snacking hour. mash up two to three bananas (i used three). 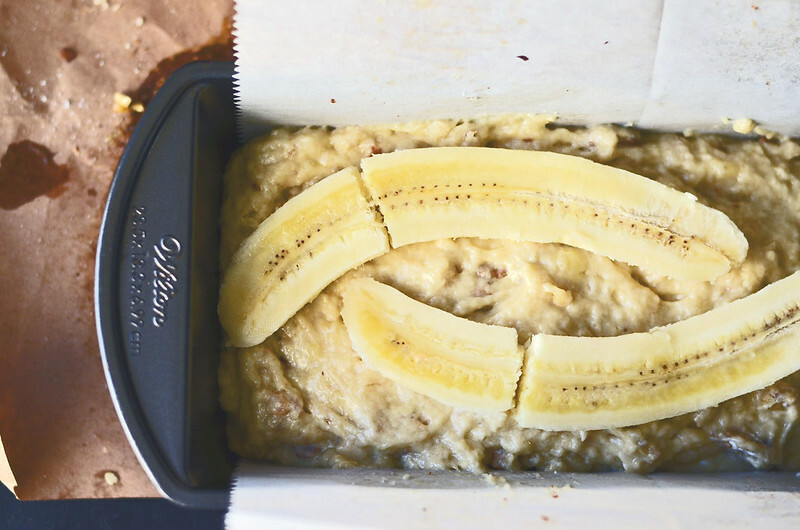 depends on the size … you will want about 1+1/2 cups of mashed bananas. melted but cooled butter, vanilla, and sour cream will round out the wet ingredients. no sour cream? any plain yogurt in the fridge or buttermilk? swap it and move on. dry meet wet. wet meet dry. 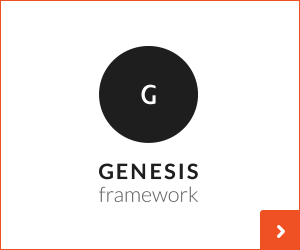 and if ya wanna get a little bit fancy…because who doesn’t like to win a few extra points on presentation? 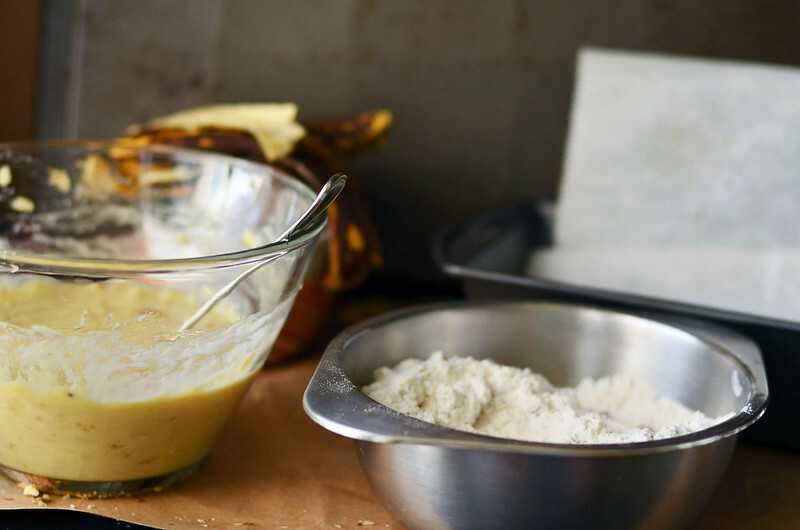 slice banana lengthwise and lay across the top of batter like above. banana embellishments. 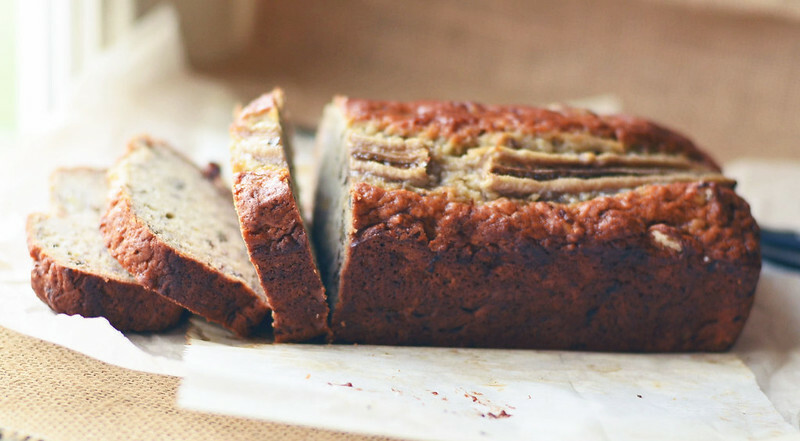 because it kind of does look a bit extra fancy for just banana walnut bread. 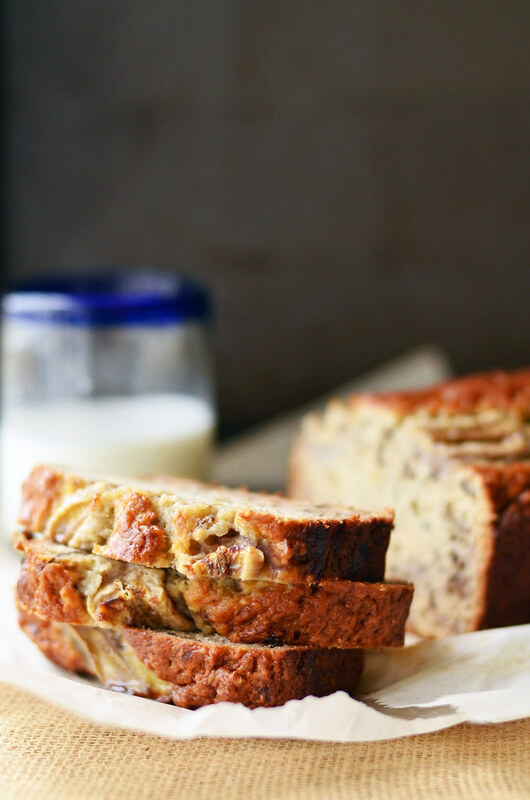 suppose banana walnut bread french toast would be good? there i go again, trying to camouflage the banana with butter and maple syrup. i mean. it’s worth a shot! Preheat oven to 350F. Butter and flour a 9 x 5inch loaf pan or line loaf pan with parchment paper. Set side. Evenly spread walnuts on a cookie sheet in a single layer and place in preheated oven for 7 to 9 minutes to roast. Remove from oven and let cool. Once they can be handles comfortably, roughly chop. Set aside. 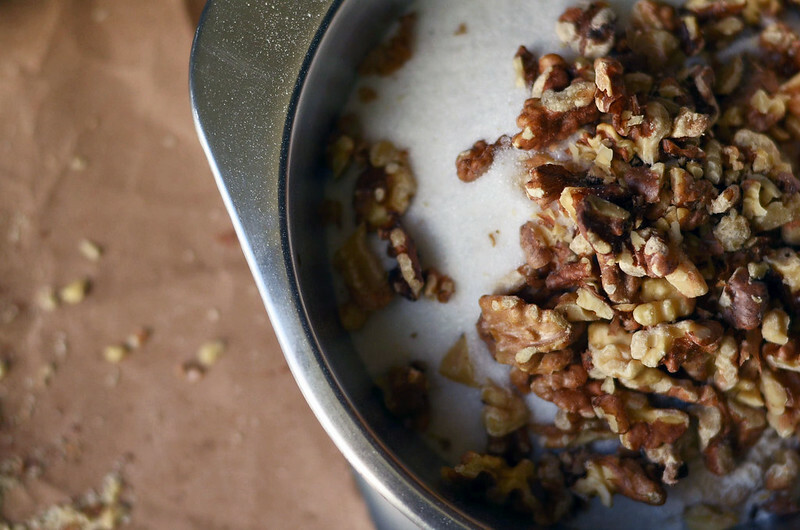 While walnuts are cooling, whisk together flour, sugar, baking soda, and salt in a large mixing bowl. 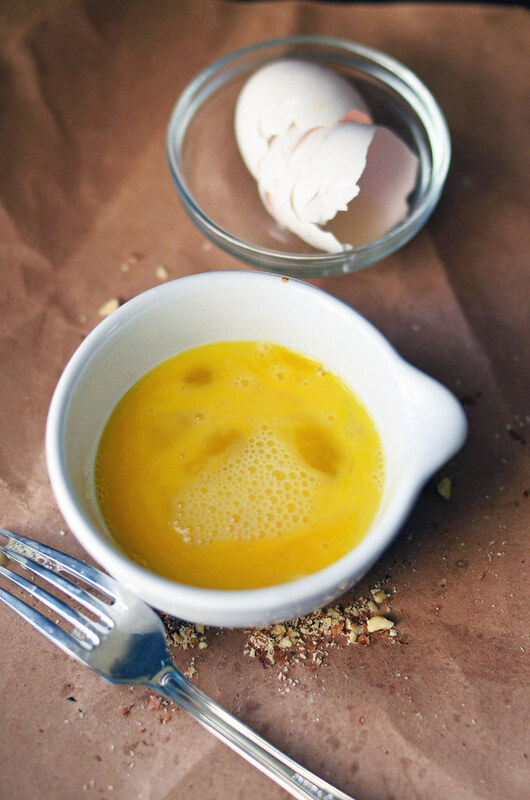 Add walnuts and whisk to combine. Set aside. 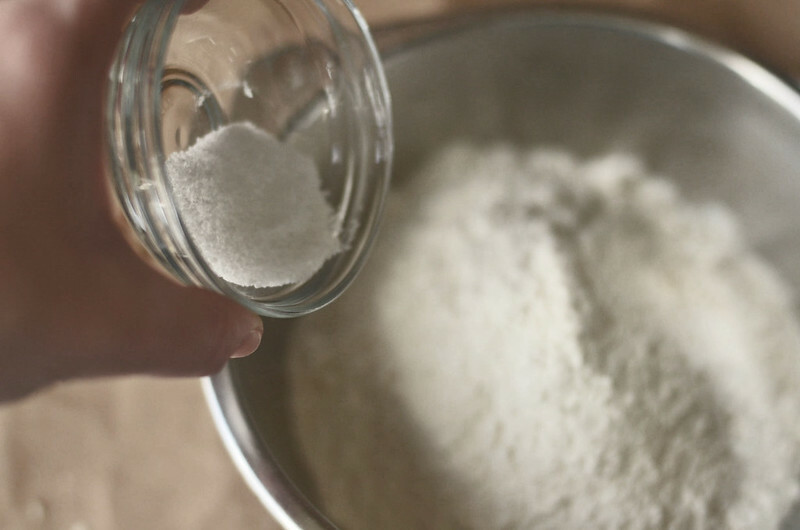 Pour wet ingredients into the dry ingredients and lightly combine, folding the wet into the dry. Continue to mix until everything is just combined. 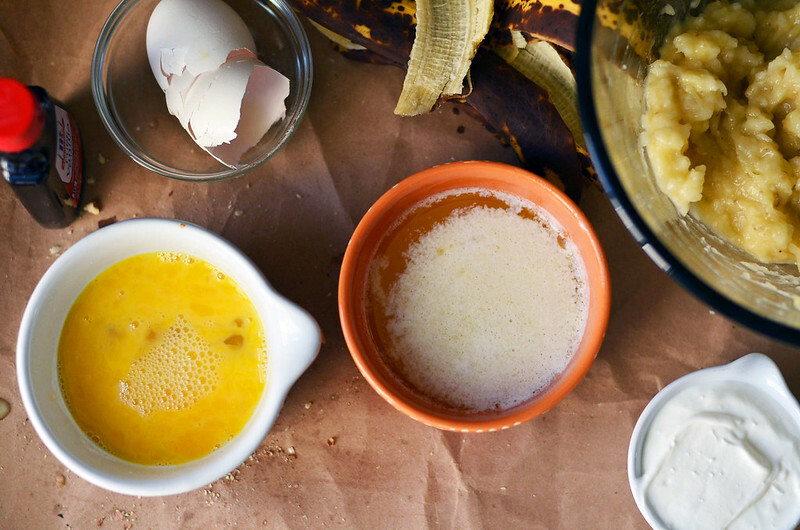 The batter will be thick and chunky. Pour batter into prepared loaf pan. 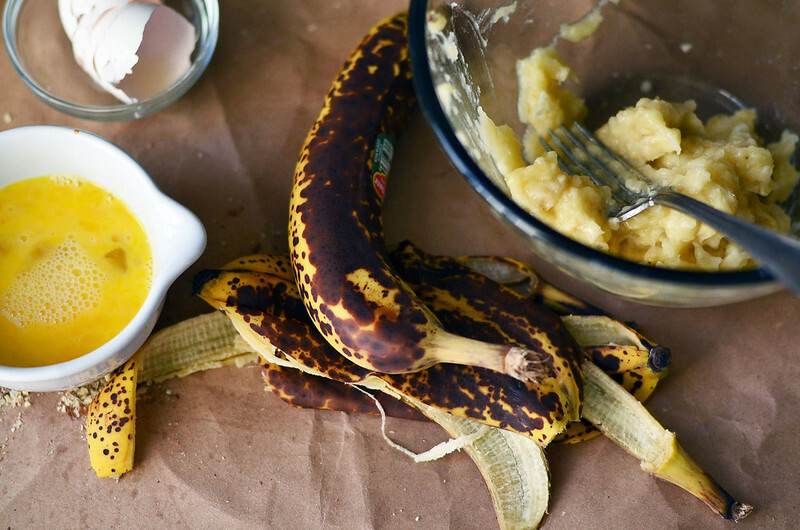 If you have an extra overly ripe banana leftover. Peel the banana and slice it lengthwise, careful not to break it. Lay each half, cut side up, on top of the batter so that they resemble the ying and yang symbol. Place loaf pan in preheated oven and let bake for 55 to 65 minutes until golden brown and tester comes out clean with few crumbs attached. Serve at room temperature plain. Or warm with salted butter. Or slathered with anything from apple butter to peanut butter. At this point it is choose your own adventure! Store in an airtight container or wrap well in plastic wrap or tinfoil. Will keep for 2 to 3 days, however I doubt it will last that long. To freeze bread, wrap bread tightly in plastic wrap and then place bread in a plastic freezer bag and remove as much air as possible. Will keep in freezer for several months.